A new adverture; I joined the upcoming Metallica tributeband "MetalmaniA' and take care of the lead parts! A lot of shows are coming up. Please check the Gigs section. Some great shows are coming up for X-tinXion, supporting Flotsam and Jetsam on the 31th of March, and Death Angel on the 6th of August!!! 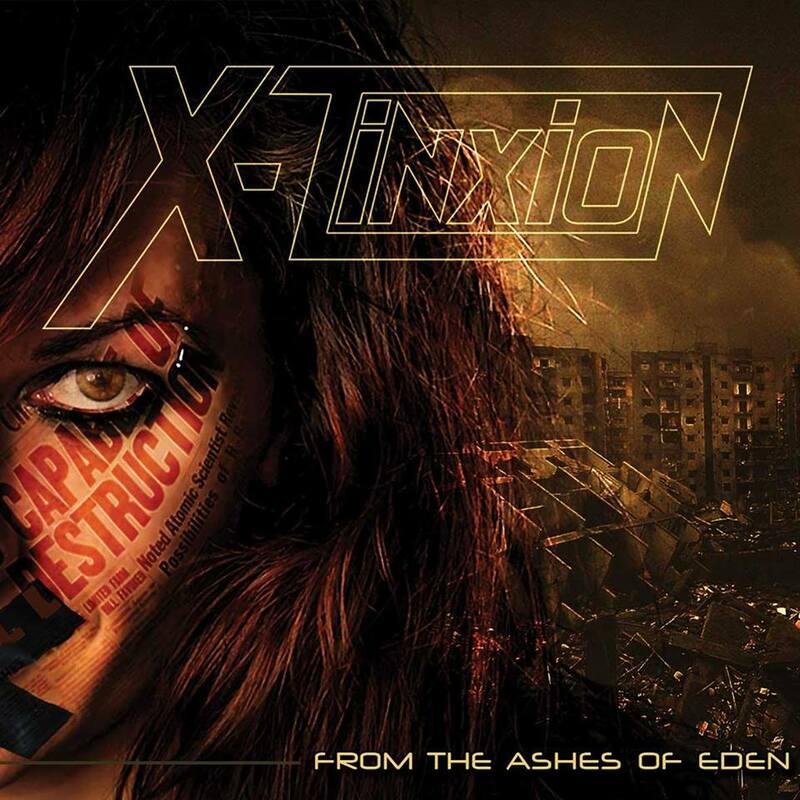 I proudly present to you, the new X-tinXion album: 'From the ashes of eden'. Go to x-tinxion.com for your copy! A lot of new gigs are added to the gigs section. I also play with 5150 and 666 on the Dijkrock festival this month! Be there, it's gonna be fun!!!!!! This month, X-tinXion will record three new songs with their new line-up. Keep in touch with my Face Book page for updates about the recordings. 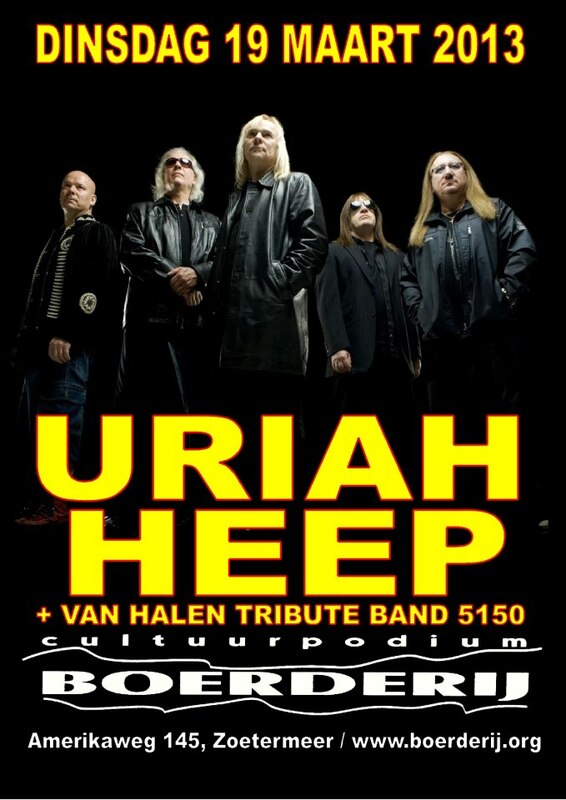 I will also do a second gig with Uriah Heep on the 2th of May in Gebouw.T. This time I will perform with my glamrock horrorband 666. 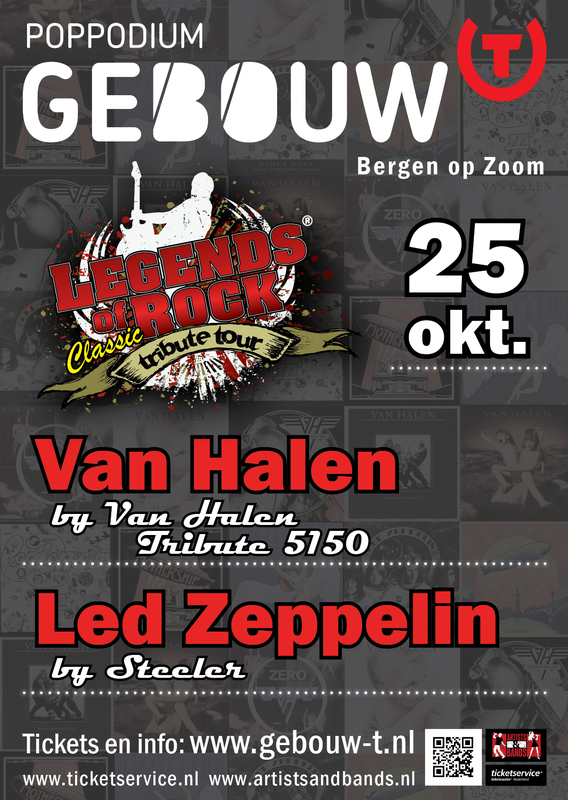 On the 9th of december I will do a Van Halen Tribute in Cafe 't Slik in Bergen op Zoom. Be there!!! 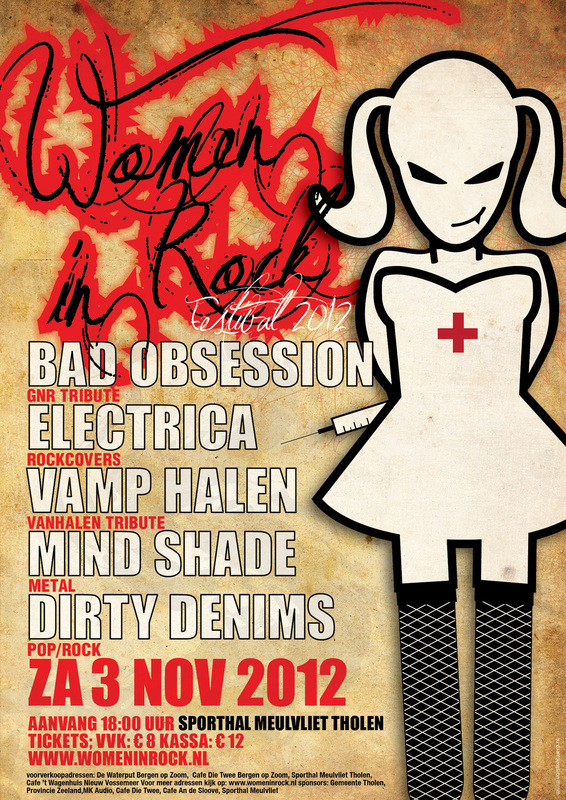 On the 3th of november I will join my old friends of Electrica with their gig on the 'Women in Rock' festival in Tholen. You can find more Electrica gigs on the Gigs section. We had a gig with 666 "The Nightmare" on the Dicky Woodstock festival on august the 4th, when mother nature struck back. Read and see more about that on the links below. 666 "The Nightmare" will be the supportact of Mother's Finest (USA) during their gig @ Gebouw-T in Bergen op Zoom. More info on Gebouw-T.
We had a great time in Germany, the crowd really kicked our asses... I uploaded more photos on the pics section. 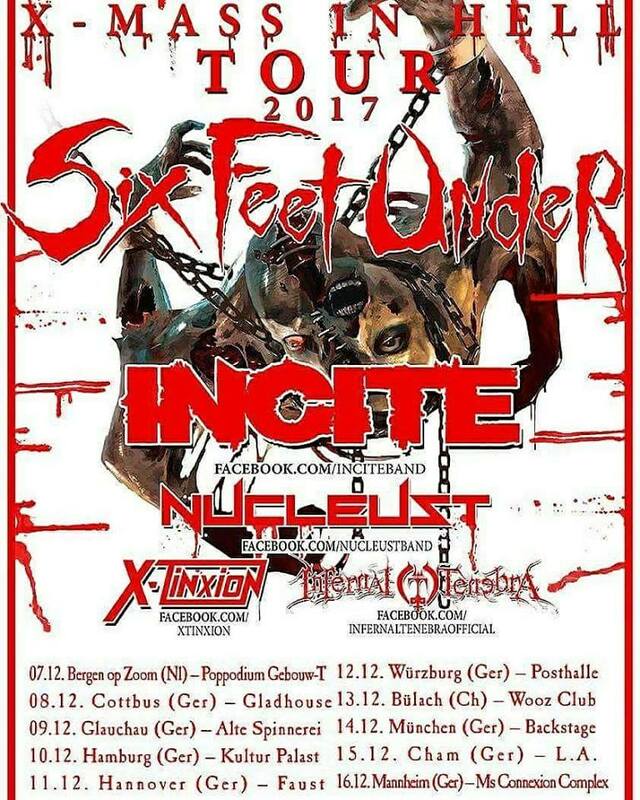 In the next months, X-tinXion will be supporting some great bands like Channel Zero (Gebouw-T), Benedictum (Rock Temple), Dead Head (Little Devil). Check the gig section for exact dates. 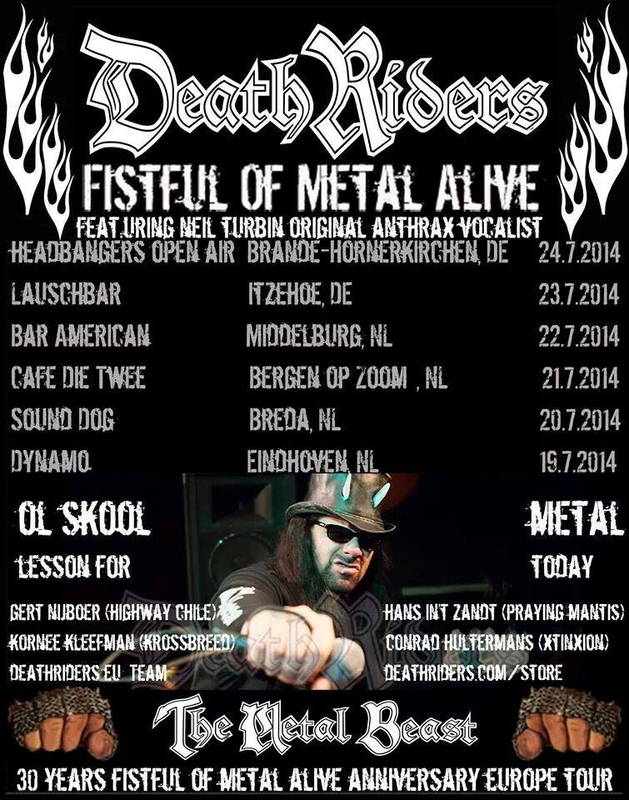 On the first of July, 666 "The Nightmare" will release their DVD "Ten years of Hell" in Cafe 't Slik in Bergen op Zoom. Please visit the 666 site for more details. in the Bosuil Weert (NL). Other finalists are Magnetron, The Darkest Red and Wolfp.ack. I have upgrated my gear section with a lot of new stuff. We have had a great time during the 666 "The Nightmare" anniversary gig at Gebouw-T in Bergen op Zoom. We will start editting and mixing the DVD this week. The release of the DVD will probably be in april. Keep checking this site for updates! Also visit the pics section for impressions of this anniversary gig. After several years this style, I decided to make a new website. It’s still a bit under construction but we are working hard on it. Hey there, best wishes for 2011!!! This will be my last update on this site. Next month I will lauch a new site with a new look, new facts and sections. 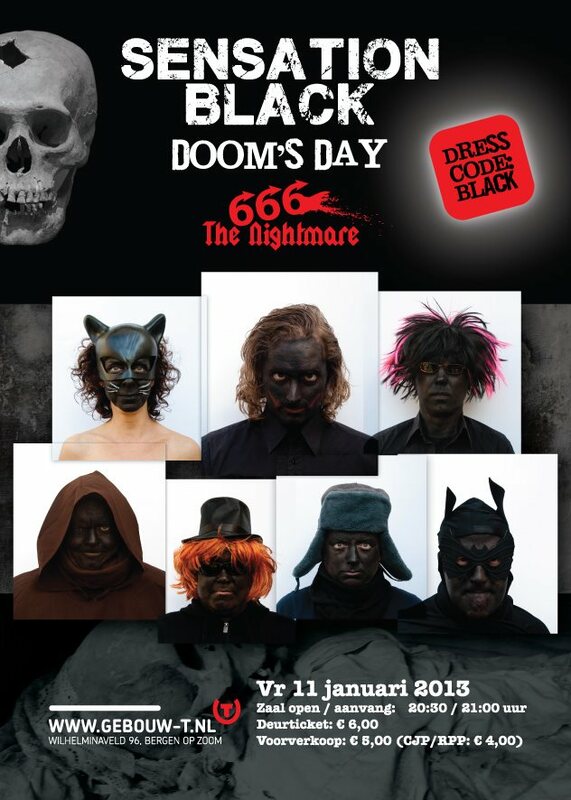 On the 28th of January, 666 "The Nightmare" will celebrate it's 10th anniversary in Gebouw T, it's a new concert hall in Bergen op Zoom. This show will be "the Horrorshow of 2011" and will be recorded on CD and DVD as well. More info about tickets etc. on our site, 666 "The Nightmare"
Some X-tinXion and 666 "The Nightmare" news!!! 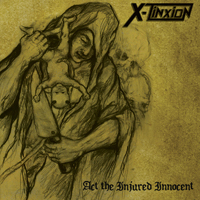 On the 23th of april, X-tinXion will promote their new CD "Act the injured innocent" in Musicstore De Waterput in Bergen op Zoom. The gig starts at 19.00 o'clock. We also supports Heathen (USA) during their "Chaos in Europe" tour in the Baroeg, on the 14th of May in Rotterdam. Please visit the X-tinXion site for more gigs! 666 "The Nightmare" will be the opening act of Uriah Heep, during their gig in the Boerderij in Zoetermeer. This show starts at 20.00 o'clock on the 13th of april. 666 "The Nightmare" shall also be playing on the Dijkrock and Borstrock 2010 festivals this spring. More info on the 666 "The Nightmare" site. On the 8th of December, 666 "The Nightmare" will be the supportact of Alice Cooper, during his single performance in Holland in the Rodahal in Kerkrade. 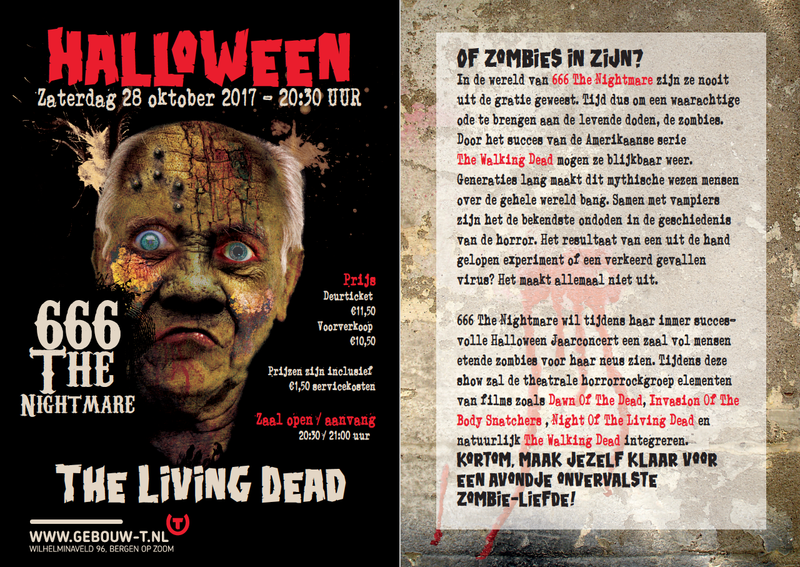 Please visit "rodahal.nl" for more information or tickets!!! I've uploaded a lot of old and new vids on Youtube, please follow the link and you will find them all! "Conrad Hultermans vids"
I have received the first review of my second EP "Infinity", more reviews will come in the next months! Cd-Review "Marios Metal Mania". This Conrad Hultermans, born in 1974, started playing the guitar at the age of 17. During the years, he got influenced by guitarists like Steve Morse, Vinnie Moore, Alex Skolnick, Steve Lukather, John Petrucci, Paul Gilbert and Marcel Coenen. 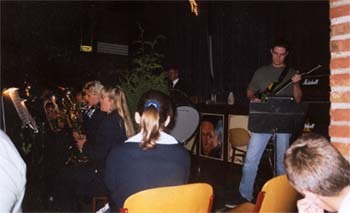 Conrad played different kinds of musicstyles and played in several bands during the past and present. Besides playing in some bands, Conrad is also focussing on instrumental songs. In 2004 he already released his first solo EP, "Inner". And this year he has released his second EP, "Infinity", once again with 4 tracks. Opener "Loose Change" is the most heavy, almost thrashy song on this EP. It sounds like a Michael Angelo-Alex Skolnick-80's Shrapnel guitar hero song. Heavy & thrashy, but played with a lot of melody also. The following songs "Everlasting Love" and "Let It Breathe" are more melodic, almost dreamy songs, with beautiful guitar playing from Conrad. And the last, and most emotional song, "New Life" was written for his nephew. It's a good example of inspiration for ,his songs ; reflections and experiences which had a certain impact in his life. Most of his songs on "Infinity" reminds me of an emotional guitarist like Satriani, but on the other hand, there are also influences from shred guitarists like Michael Angelo Batio. But he always plays with a lot of melody and emotion! Those were the words of leadsinger Stan Verbraak (Helloise/Highway Chile/666), when we end up the song "Highway Star" during a rehearsal a couple of months ago. Joining 666 "The Nightmare" is one of the best choices I've ever made in my music career, these guys ROCK!!! They're playing great rock/metal classics and are dressed like idiots hehehe. Please visit their site! On april 18th, I will release my new EP called "Infinity" in the Musicstore De Waterput in Bergen op Zoom. The party starts at 19.00!! I will play all songs with a MD player and explain some techniques, scales, influences etc. in which I use in the songs. You can find more information on their site. On december 20th, I will join "The Dutch Guitar Three" with 2 of my favorite Dutch guitarplayers; Joop Wolters and Marcel Coenen During this evening we will play some solo stuff, than a Santana tribute band plays a set of songs. At the end of this evening, there will be a great final jam with all musicians! After several years of just playing metal music, I decided to join a pop/rock coverband once again. The band is called "Jic" and plays music from the early seventies till now! It's a great band with awesome musicians. I’ve uploaded another new song called “Loose Change”. For all you shredders out there, it’s a killer one ;-) This song will also be on my upcoming soloCD!! Go to the Media page to download it. X-tinXion will start recording their second CD, this summer. Once again at the Pro-Sound Studio in Dordrecht. X-tinxion will play at the Borstrock qualifying rounds on March 4th. If they win, they earn a place on the Borstrock festival! Other bands that will play are FUSZ, Dear Mom, Barracuda and Tenk. The qualifying round starts at 14.00, and at 20.00 the winner will be announced. The entrance is FREE! I’ve uploaded a new song called “ New Life ”, which is written especially for my nephew Nels. This song will be on my upcoming soloCD!! X-tinXion has been selected to play at the finals of the Wacken Open Air Metal Battle. 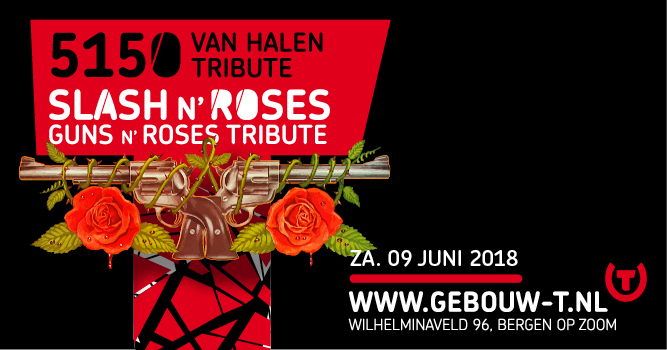 They will play the finals at the Bosuil in Weert on the fourth of February against five other bands. 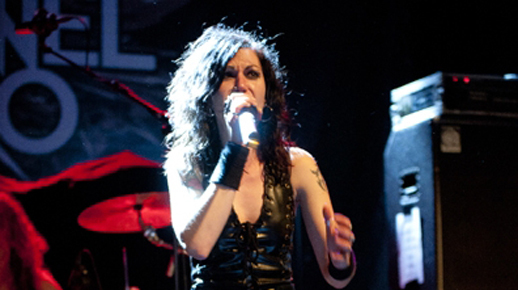 X-tinXion has also recorded a video of their gig at the Bibelot on November 18th. You can watch and/or download it on the Media page. Things are going well for X-tinXion! We won the Metalround of the "Kleine prijs van Dordt" KpvD, on 27th of april 2007 we will join the finals in Dordrecht. X-tinXion has also been selected by the "Aardschok luisterpanel" for the Metalbash. Also the gigs section has been updated!! Welcome to my new website, which is made by my dear friend Tim Wolvetang "Mitrumothy". He did an excellent job by making the site more compact and surveyable. I'm also proud by telling you that I turned over to Bo~EL guitars. Those are the best guitars that I have ever had in my life!!! You can find more information about the Bo~EL guitars by clicking on the banner below. First of all, the best wishes to you all for 2006!! The recordings for my soloCD are postponed to February/ March, the well known guitarist Marcel Coenen >> is going to help me out on the mixing job. Soon I will upload 2 video's of some jamming stuff, recorded during a clinic I gave and an old Vintage gig. This fall I will be recording new stuff for my first full-length instrumental solo CD. All guitars will be performed by myself. 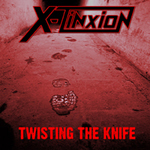 In the Music >> section you can listen to 2 songs of the forthcoming debut CD of my thrashmetal band X-tinXion. Cd-Review "Truemetal". 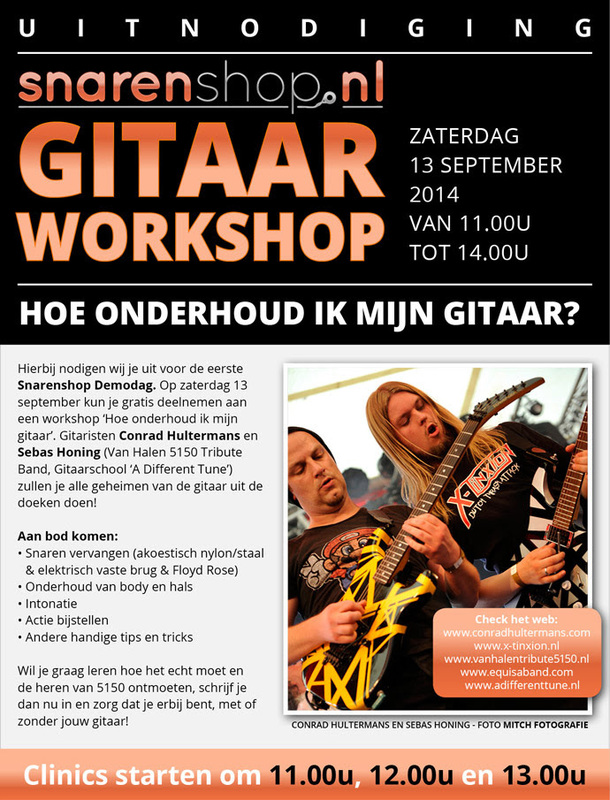 This Dutch guitarist is playing guitar since 10 years. He has played in several bands in the past, and for the moment he plays in a thrash and a rock/metal cover band. He also has played a lot of different music styles such as Rock, Metal and even Jazz. After 10 years of playing the guitar, he thought it was time to release an instrumental solo release. On "Inner" are 4 songs which all have a playing time of 5 or 6 minutes. His main influences range from Steve Morse, Steve Lukather, Vinnie Moore, Joe Satriani till Alex Skolnick. His songs are reflections of experiences which have had a certain impact in his life. For instance, the last and most emotional song "Memories" is written in loving memory of his grandma. The other 3 songs have also nice themes and melodies, mixed with several shred guitar moments. Sometimes Conrad reminds me of an emotional guitarist like Satriani, but his shred parts remind me most of all of Michael Angelo's album "No Boundaries". Zo dan, hier hebben we te maken met een solo EP "Inner" van onze eigeste echte forummer Ratje, en wat voor een EP!!! De 4 nummers zijn van een dermate schoonheid dat elke gitaarmuziek liefhebber hier wel pap van zal lusten. Het is een instrumentale EP geworden die bomvol staat van fantastisch gitaar soleer geweld. De fantastische opener "Song For Alex" kent een heerlijke riff met daaroverheen een schitterende melodielijn, die mij tot het meefluiten bracht. Je moet het maar kunnen, zo'n pakkende melodie verzinnen. In het nummer "Summer In Your Eyes" laat Conrad zien dat ie vlugge vingers heeft en vliegt hij over het fretbord en laat hij elke noot klinken zoals die hoort te zijn. De gitaarsound tijdens de solos is prachtig, zo wil ik menig gitarist zijn effecten pedaal wel afgestemd horen staan. Het meest "agressieve" nummer van deze EP is het nummer "9/11". enige is wel dat ik de riff van dit nummer erg vind lijken op de riff uit het eerste nummer, maar goed een kniesoor die daar op let. Ook dit nummer is doorspekt met soleerwerk. heerlijk. Ralph: De Nederlandse gitarist Conrad Hultermans brengt met 'Inner' zijn eerste solo EP op de markt. Naast het volspelen van dit, volledig instrumentale, schijfje is Hultermans ook nog actief in de thrash metal formatie X-tinXion en de cover band Metal Studs. Helaas voor Hultermans liggen de gloriedagen van dit soort instrumentale projecten van zogeheten supergitaristen ver achter ons, want 'Inner' had in deze periode niet misstaan. Sfeervolle composities kenmerken 'Inner'. 'Song For Alex' en 'Summer In Your Eyes' zitten uiteraard vol met solo's in alle soorten en maten maar kennen ook stuwende riffs en herkenbare thema's. 'Inner' doet me nog het meest denken aan Vinnie Moore's solowerk, als we dan toch een vergelijking moeten maken. Minpunt vind ik toch het duidelijke gebruik van een drumcomputer. Zowel het geluid als de programmering doen onder voor een echte drummer, maar om nu te zeggen dat het overheersend irritant is; nee. A lot has happened in the last few months, I changed some gear, my solo EP came out and finally, I started with some new bands!!! Next month I will be recording the solo's of the debut CD of X-tinXion, which will released in the beginning of 2005. The Gigs-page >> is updated. In the Music >> section I've uploaded a song of the unreleased second EP of my former band "Gallowmere" . You can now listen to a new song from my forthcoming solo EP "Inner". There are some samples from the debutCD of Vintage which you can listen already, follow the link HERE >> . This month I will also record my first official EP called "Inner", more info about that soon. Although I've recorded a new CDemo with Gallowmere, we decided to change our musical directions.We also stopped co-operating with our female-singer. The new style will be a combination of melodic power/thrash metal with still some progressive elements. If you are interested in what we recorded with Gallowmere last, then mail me and I will send you a copy of the CD for free. I will join a guitar contest of the Sena Guitars Awards on the 19th of October in Breda I added a videoclip of my hardrockband "Vintage" to the music section. The videoclip was recorded at the Popelfest in Etten-Leur on the 30th of August. You need Realplayer to watch it. I've won a contest with my rockband Vintage, at the Dijkrock festival...We will be added on the line-up of bands on the mainstage, next year. and we will be playing the heavier songs of The Sweet. This convention is a tribute to Mick Tucker (drummer of The Sweet) who died of leukemia. 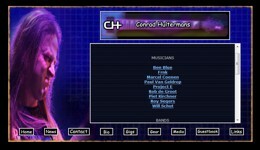 conradhultermans.com The launching of the guitarsite is finally a fact . I hope you enjoy it and can find everything you wanted to know about me. If you have any comments please mail the webmaster If you don't have the free "macromedia flash player" and you don't see the menu on the left you should download it at macromedia or else you can use the menu on top of this page . Scroll down for the latest news. Night of the proms Review of the Newspaper BN/ De stem; By Wil de Jong "Yearconcert well visited" Huijbergen- the yearconcert of the Huijbergen wind-band St.Cecilia this sunday afternoon was a succes. The concert was in "The Proms" sphere. The orchestra, conducted by Charles Bosters played a combination of classical and popular songs. The opening of the concert was given by the youth orchestra of St.Cecilia. They started with 'Also sprach Zarathustra".The crowd responded very well on the songs, which were played by guitarist Conrad Hultermans. Songs like;Final countdown- Europe, Music- John Miles etc. Conrad played some beautifully solo's during those songs.Like the famous English Proms, the concert ended with "Land of Hope and Glory, the crowd took the lyrics and sung along.